Reggio Calabria, the province in the region of Calabria in Southern Italy, along with the capital of the same name, is perhaps known better around the world as the capital of bergamot. Bergamot is dubbed ‘green gold’ and known to be the most valuable citrus fruit in the world due to the properties of its essential oil that is used largely in the perfume industry. It is a key ingredient in perfumes that acts as a sort of binding agent, generally improving scents and making them last longer. It may come as a surprise then to some, that approximately 90% of the world’s bergamot is grown almost entirely in a small confined area of the Reggio Calabria province: specifically, the lowermost tip of the Italian peninsula, some 75km of coastline from the cities of Villa San Giovanni to Brancaleone. A short walk through the capital city is all you will need to understand the importance of bergamot in Reggio Calabria – here you will find the many ways in which the locals have learnt to use bergamot over last few centuries, since it was first introduced to the region. From liqueurs made from the peels, as a flavouring in a variety of sweet treats such as creams, drinks, candies, jams but also in savoury dishes – find the zest of this precious citrus fruit sprinkled over risottos, pastas, meat dishes and enlivening some of the richest sauces. 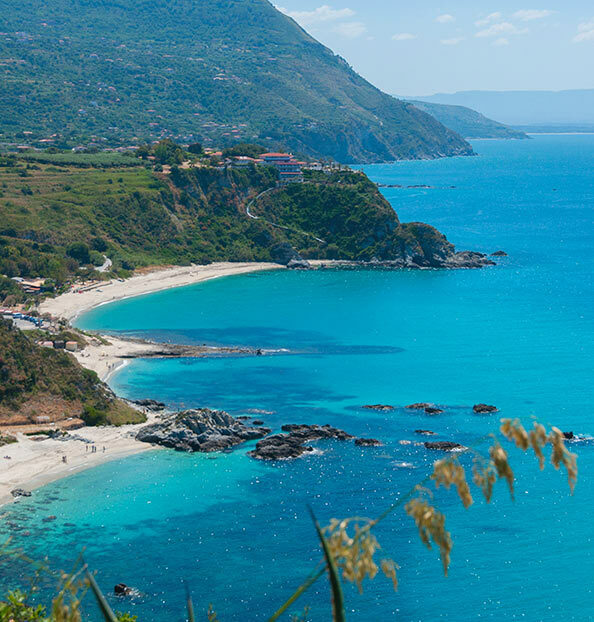 Not only confined to bergamot, Reggio Calabria with its southern positioning on the Italian peninsula is a rich land for other fine citrus fruits. The wider province of Reggio Calabria, is the largest province of Calabria for citrus production from which the majority of Italy’s clementines are grown, followed by also a large quantity of oranges, mandarins and lemons.